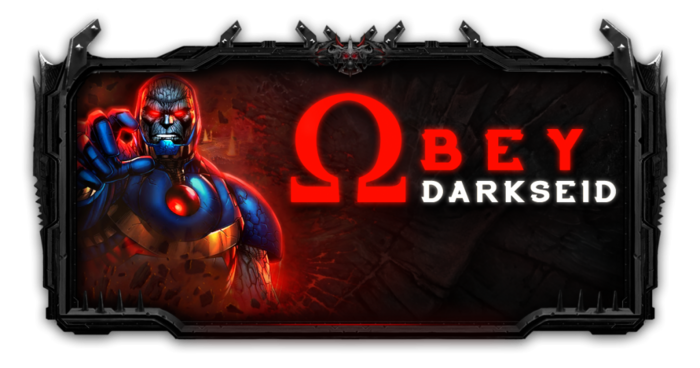 Darkseid is the first mobile-exclusive character. Darkseid is characterized with very high base stats, but a very slow and vulnerable basic attack combo. He was one of the first characters where the AI could utilize combo-enders. For Darkseid's full console character biography, click here. Darkseid is the first mobile exclusive character. When released, Netherrealm was met with negativity from console players for not having Darkseid besides being a stage transition in that game. With the release of Darkseid/Apokolips in the 2.7 update, he is the first mobile exclusive character to have an alternate version. The only other mobile exclusive character to have an alternate skin is Deadshot/Arkham Origins. The Anti-Life Equation global energy support card used to be named "Darkseid" prior to his inclusion as a playable character. The name of Darkseid's Supermove is a reference to the quote "I am many things, Kal-El, but here, I am God." from Superman: The Animated Series. 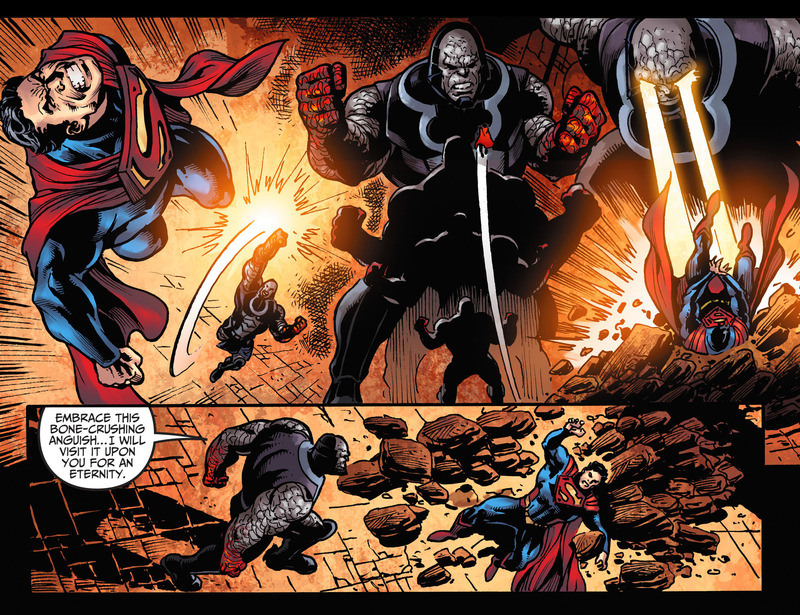 In the Injustice: Gods Among Us comic (Year 4 #21), Darkseid uses a simplified version of his Injustice Mobile Super Move in his battle against Superman. He is also redrawn to strongly resemble his original card in Injustice Mobile, which differs in appearance significantly from the Year 1 comic or the console game.